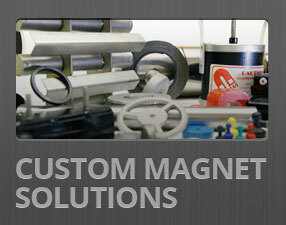 Bar magnets can be classified into one of two types: permanent and temporary. Permanent magnets are always in the “on” position; that is, their magnetic field is always active and present. 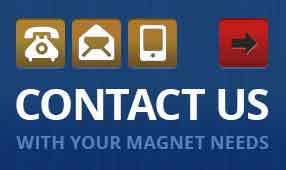 A temporary magnet is a material that becomes magnetized when acted upon by an existing magnetic field. Perhaps you used a magnet to play with your mother’s hairpins as a child. Remember how you were able to use a hairpin attached to a magnet to magnetically pick up a second hairpin? That’s because the first hairpin became a temporary magnet, thanks to the force of the magnetic field surrounding it. Electromagnets are a type of temporary magnet which becomes “active” only when an electric current passes through them creating a magnetic field. What Is An Alnico Magnet? Many magnets today are referred to as “alnico” magnets, a name derived from the components of the iron alloys from which they’re made: ALuminum, NIckel and CObalt. Alnico magnets are usually either bar- or horseshoe-shaped. In a bar magnet, opposite poles are located at opposite ends of the bar, while in a horseshoe magnet, the poles are located relatively close together, at the ends of the horseshoe. Bar magnets may also be composed of rare earth materials - neodymium or samarium cobalt. Both flat-sided bar magnets and round bar magnet types are available; the type that is used usually depends on the application for which the magnet is being used. My Magnet Broke in Two. Will It Still Work? Except for some possible loss of magnetism along the broken edge, a magnet which has been broken in two generally will form two magnets, each of which will be half as strong as the original, unbroken magnet. Not all magnets are marked with “N” and “S” to designate the respective poles. To determine the poles of a bar-type magnet, place a compass near the magnet and watch the needle; the end that normally points toward the Earth’s northern pole will swing around to point toward the south pole of the magnet. This is because the magnet is so close to the compass, causing an attraction that’s stronger than the Earth’s own magnetic field. If you don’t have a compass, you can also float the bar in a container of water. The magnet will slowly rotate until its north pole is aligned with the Earth’s true north. No water? You can achieve the same result by suspending the magnet at its center with a string, allowing it to move and rotate freely. Bar magnets are rated according to three measurements: residual induction (Br), which reflects the potential strength of the magnet; maximum energy (BHmax), which measures the magnetic field strength of a saturated magnetic material; and coercive force (Hc), which tells how difficult it would be to demagnetize the magnet. Where Is The Magnetic Force Strongest On A Magnet? The magnetic force of a bar magnet is highest or most concentrated at either pole end and weaker in the center of the magnet and halfway between the pole and the magnet’s center. The force is equal at either pole. If you have access to iron filings, try this: Place your magnet on a flat, clear surface. Now sprinkle iron filings around it. The filings will move into a position that provides a visual demonstration of your magnet’s strength: filings will be densest at either pole where the magnetic force is strongest, spreading apart as the field weakens. To keep magnets working at their best, care should be taken to ensure they’re properly stored. Choose a closed container for your magnets to prevent metallic debris from becoming attracted to the magnets. Store magnets in attracting positions; over time, some magnets that are stored in repelling positions can lose their strength. Store alnico magnets with “keepers,” plates used to connect the poles of multiple magnets; keepers help prevent the magnets from becoming demagnetized over time. Keep storage containers away from computers, VCRs, credit cards and any devices or media containing magnetic strips or microchips. Also keep strong magnets in an area located away from any place that may be visited by individuals with pacemakers since the magnetic fields may be powerful enough to cause the pacemaker to malfunction. 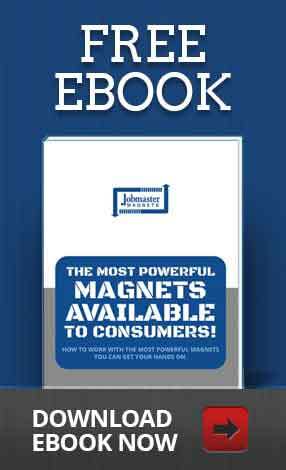 Jobmaster Magnets has the largest selection of bar magnets for sale, offering competitive pricing and top-rated customer service. In addition to its in-stock selection, Jobmaster also caters to custom needs. Contact us today at sales@jobmastermagnets.com to learn more.